Christmas is perhaps the best time of year to visit the North Carolina coast. The average air temperature is 59.4 degrees and the sun is warm. In a celebration of this wonderful weather and the holidays, the Chamber organizes the Christmas by the Sea Parade, the first Saturday in December on Oak Island (12/7/2019). The Christmas by the Sea Parade steps off at 2pm on the 2.4 mile parade route from Oak Island Town Hall, traveling Oak Island Drive to McGlamery Street. The parade showcases the businesses and organizations in our community. The hometown feel of the parade makes it a favorite event of locals, second homeowners and visitors. Criteria: Spirit of the Holidays (no Santas on floats), Personalization (while conforming to theme does your business/club/organization's message come through), Coastal Element (This is our community, what does it mean to you?). An Overall Judges Award will be given. There will also be 1st and 2nd places awarded in the following categories: Group/Club/Non Profit, For Profit and Golf Cart Division. Judging will begin at 12:30pm. We will not judge commercially rented floats. Download a parade application Here or to enter online prior to November 26th. During holiday season, there are also a collection of events sponsored by many community organizations. In addition to the Christmas by the Sea Parade, there are tree and menorah lightings, tour of homes, choral and band concerts, a lighted boat parade (flotilla) and activities for children like Santa’s Workshop and Santa Calling programs. The holidays are a perfect time to remind visitors and residents to support the small business in their communities. 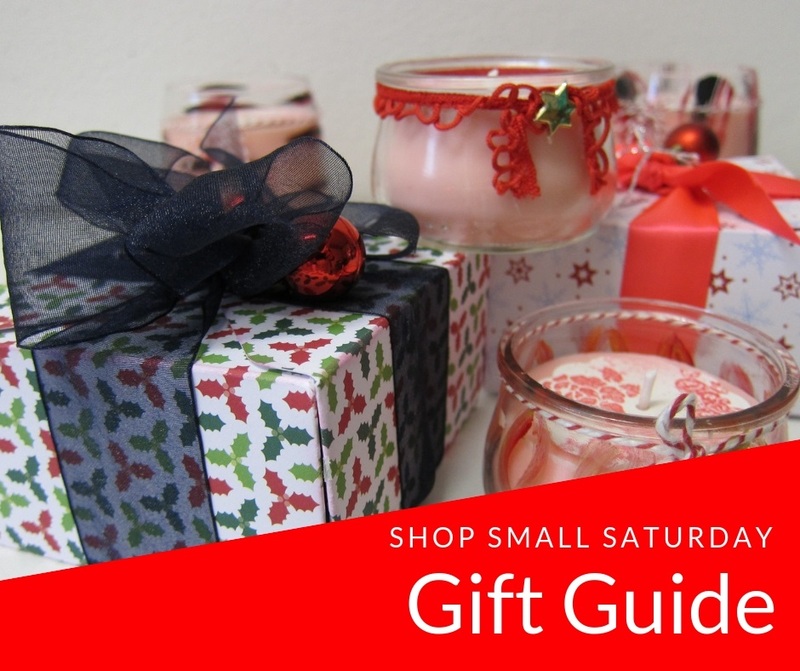 American Express began a nationwide movement to support these businesses during Shop Small Saturday on the Saturday after Thanksgiving. A list of small businesses with unique gift items and provide excellent customer service will be here in November. The Southport-Oak Island Area Chamber of Commerce encourages you to support small business year-round. We invite you to consider decking the halls with local mistletoe and seashell ornaments while eating oyster stuffing and listening to the laughing gulls outside your beach cottage. 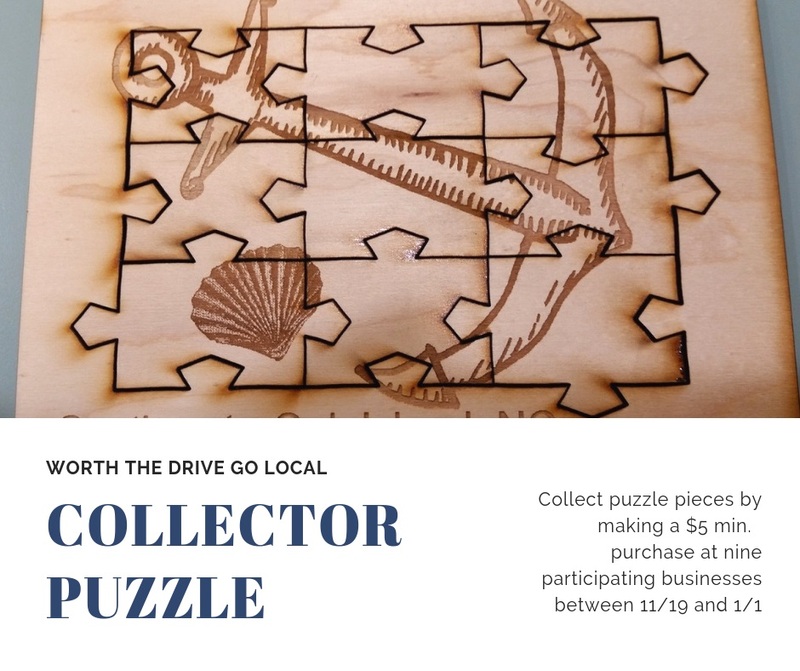 Go Local Collector Puzzle for the Southport-Oak Island Area. Stop at the Chamber of Commerce Welcome Center (4433 Long Beach Road -Monday - Friday 8:30am-5pm -closed Thanksgiving 11/28 - 12/2) or Cape Fear Custom Designs (4979 Southport-Supply Road) to pick up your puzzle frame and directions. Collect puzzle pieces by visiting the 9 participating businesses and making a $5.00 minimum purchase between November 18th and January 1st. Take your completed puzzle back to the Chamber's of Commerce Welcome Center and enter Go Local Collector Puzzle Drawing for $100.00. We will announce participating businesses in early November. Below is a photo from the 2018 puzzle. For information about the Christmas by the Sea Parade or activities during the holidays contact: Southport-Oak Island Area Chamber of Commerce, 4433 Long Beach Road, SE, Southport, NC 28461. Phone: 910.457-6964 or e-mail us at events@southport-oakisland.com.